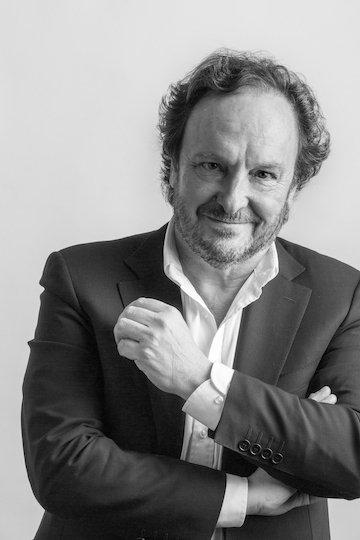 We are pleased to introduce you to the architect Joan Artes, the Founder of our partner Company La Casa por el Tejado. With his head in the sky and his feet firmly on the ground, he is thinking differently to find solutions on how to expand our living space in a sustainable way. As Gaudi was the representative of modernism, Catalan Joan Artes is a modern architect who, like his predecessor, knows and loves his city and respects its architectural heritage. He is a highly trained and experienced Architect, studying at the International University of Catalonia and the Escola Superior d’Arquitectura de Barcelona. For over 20 years he has been a Professor of Architecture at La Salle, Ramón Llull University and in 2011, he co-founded La Casa por el Tejado. La Casa por el Tejado is a studio specializing in the development of new living spaces in the centres of historic cities. They undertake projects in cities such as Barcelona, ​​Madrid, Seville, San Sebastian, Paris and Antwerp, where there are building on unused roof spaces, offering possibility of expanding the city in a sustainable way. Where most look at the ground to expand cities, La Casa por el Tejado (The House on the Roof), looks up to the sky. That’s where you find the unused roofs of numerous old buildings that can be converted into quality penthouses, green spaces, orchards, or terraces with minimal environmental impact. By maximising the space of existing buildings you can leverage existing infrastructure, add living space in the most popular areas and make the city a more pleasant place to live. Many of their projects are built on stunning, historically important buildings, dating back hundreds of years. In order to create more space, they use the rooftops of these stunning buildings, adding new structures which complement the existing style and add value, without losing any of the architectural features that make them unique. These buildings are lightweight, use less materials than a traditional building and have excellent environmental credentials. They have a low environmental impact and improve the environmental performance of the building where they are installed. The future is industrialized construction: fast, with low environmental impact and high quality. Modulated for fast transport and installed quickly for minimum disruption. La Casa por el Tejado develops projects as part of a network with other architects and construction professionals to open up their novel building method to clients all over Europe. We are delighted to have signed an agreement with them, to develop the process in Benelux and Germany. We hope that the partnership between Rooftop City and La Casa por el Tejado can expand the applications of rooftop construction and off-site and indoor construction and improve the take up of this fantastic method by builders, developers and architects. Strolling along the Paseo de Gracia, Las Ramblas or the great streets of the Eixample you can admire Gaudi’s modernist masterpieces and other wonderful architects of his time, integrated with wonderful projects by La Casa por el Tejado. Their most popular projects are penthouse apartments with terraces and large green spaces in the most prime locations in the city. These wonderful properties are manufactured with quality materials which have been tested and approved for the purpose. They are assembled with the most stringent quality control processes and meet high quality standards such as thermal and acoustic insulation. They are more energy efficient than buildings constructed in the traditional way and can be made more quickly, while keeping standards high. One of the challenges, is to bring this rooftop building to other areas of the city, to maximise the use of the existing buildings and provide excellent living spaces for modern buyers. Another is to increase the capacity of builders to construct in this manner through education and cooperation. We hope the partnership between La Casa de la Tejado and Rooftop City will go some way to make this a reality.